When it comes to musicals, songs are utilized to dramatize moments of high emotion – the characters are so emotional they have to sing about it. Thus, when adapting a pre-existing story to musical form, the creators look at the story for the emotional high points and parts that lend themselves to a musical number (think Legally Blonde‘s “Bend and Snap”) before creating the songs. In this way the addition of music does not feel superfluous, but feels like an expansion of the existing plot and characters. With Charles Dickens’s A Christmas Carol, we have a unique opportunity to look at multiple adaptations of the same, well-known story. There have been a number of musical versions, but I will be concentrating on my two favorites: The Muppet Christmas Carol and Mister Magoo’s Christmas Carol. Like many people in my generation, I am quite fond of The Muppet Christmas Carol. The addition of the Muppets, though hilarious, does not intrude much on this retelling of the plot, and the songs are quite splendid. 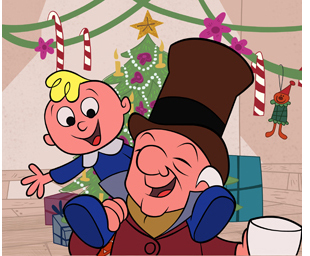 Mister Magoo’s Christmas Carol, on the other hand, was a classic from the previous generation, introduced to me by my parents. It’s actually considered the first animated Christmas special, beating out A Charlie Brown Christmas by three years, so that’s a pretty big deal. Other than the framing device of having Mister Magoo acting in the show on Broadway, this is a pretty straightforward retelling, actually. 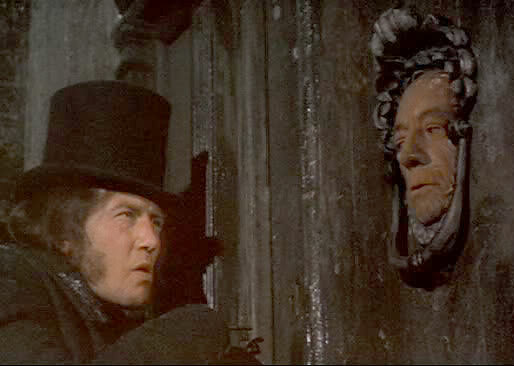 However, since these were both comedic adaptations with characters from other media, I’m also bringing in the musical film Scrooge starring Albert Finney and featuring Alec Guinness (before he was Obi-Wan) which was a more straightforward adaptation, for comparison. I don’t know this version as well, but I have listened to the songs, so I hope you’ll bear with me on this. Because this is Scrooge’s story, one of the first numbers of any musical of A Christmas Carol has to introduce the audience to the main character and his attitudes on life. Whether Scrooge sings it himself (“Ringle, Ringle”; “I Hate People”) or others sing about him (“Scrooge”), all three songs give us a sense of Ebenezer Scrooge – cold, cruel, and concerned with money over his fellow man. It took me some time to figure out why each of these works felt the need to give a song to a character who only appears in one scene: Scrooge’s fiancée, Belle (called “Isabel” in Scrooge) who separates from him as he becomes more set in miserly ways. Well, I’d conclude there are two reasons, one thematic and one technical. Thematically, she is very important to Scrooge’s ultimate transformation, as she reminds him what he lost by becoming a miser – she sings of how good their relationship was before he let money get in the way. But also, since this story has a dearth of female characters, the character of Belle presents the opportunity to showcase a strong female singer. I have also highlighted “You…You,” sung by Scrooge, as a lover’s song because Scrooge, like Belle in the other two works, sings of regret for their faded love. While this song’s placement varies (as some adaptations switch the order of the ghosts), all three works highlight the scene at the Cratchits. The Cratchits very much represent the heart of the story of A Christmas Carol – happiness comes not from money, but being with people you love. They are also extremely important to Scrooge’s conversion, because by seeing an example of the poor masses he would rather send to the workhouses and prisons, he finds his preconceptions of such people challenged – Do the Cratchits really deserve poverty? Does Tiny Tim reallt deserve to die? Thus we get three songs about being grateful for whatever we have. 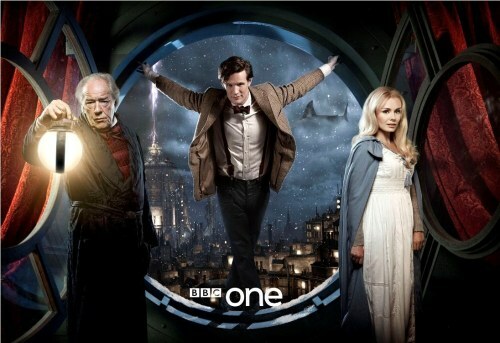 Interestingly, the finales of all three of these works comprise of reprising earlier songs. You could say that this is the creators being lazy, but I would say this is a very Scrooge-like notion. Repeating musical themes is often used to show story development, or to highlight different characters coming to accept what the song is about. In this case, all three finales have Scrooge sing songs that highlight how much his views on life have changed, and how other people’s views of him change because of it. In the case of the Muppets, Scrooge and the cast sing Belle’s song, “When Love is Gone,” to show that the love – Scrooge’s love – has been found again by opening his heart to others, and thus he is no longer alone. 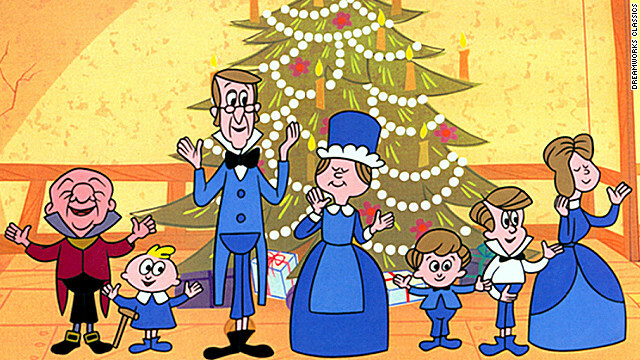 In Mister Magoo, Scrooge’s song exalting money becomes a song about money best shared, and Scrooge joins in singing “The Lord’s Bright Blessing” to show that he is now a part of the Cratchit family and committed to making a difference in their lives. In Scrooge, he first sings the Ghost of Christmas Present’s song in the streets show he appreciates life again. The children around him again sing about Father Christmas, now referring to Scrooge, who has donned the Santa costume and is giving out toys. “Thank You Very Much,” which was first heard exalting Scrooge’s death in the possible future, becomes a sincere thank you to Scrooge from the Cratchits and the townspeople, showing that Scrooge’s munificence may indeed prevent the awful future he saw. This story has been appropriated so many times by many different people, set in different time periods, sometimes even on different planets (here’s looking at you Doctor Who). But I love that by looking at which common plot points these three works adapted as musical numbers, we see what was most important in the original work – hoarding money benefits no one, not even the person who has it. But sharing it? Sharing it has far-reaching consequnces for everyone around. There is a reason this story of redemption and transformation remains so relevant and popular, and musicals add another dimension to this timeless tale by using music to expand on its themes. * “When Love is Gone” was taken out of the original theatrical release, I’ll admit, but the videotape and DVD I have both have that scene restored, so I’m counting it in the song line-up.